This month’s free MultiTrack is the CompassionArt song So Great written by a huge team of well known songwriters including Michael W Smith, Paul Baloche, Steven Curtis Chapman, Stu Gerrard, Israel Houghton, Tim Hughes, Graham Kendrick, Amy Park, Matt Redman, and Chris Tomlin. The CompassionArt charity was founded by Delirious? songwriter Martin Smith and his wife Anna, with the aim of generating income from works of art to assist in the relief of suffering around the world. Unless you are confident with using a DAW such as Ableton, you will need a copy of Worship Backing Band’s Mac/PC or iPad MultiTrack Player to play the backing track. MultiTrack is the simplest and least expensive solution to get a full band sound from your worship team, even if you’ve only got a couple of musicians. This month’s free MultiTrack is our Worship Backing Band version of Glorious by Chris Tomlin and Jesse Reeves in the more congregational key of D.
It’s totally free during March and you’ll get the wav files for our PC/Mac MultiTrack Player PLUS files for the new iPad MultiTrack Player. Remember that you will need the Worship Backing Band MultiTrack Player or the iPad MultiTrack Player to play the track. This month’s free MultiTrack is The Highest and the Greatest by Tim Hughes and Nick Herbert. It’s totally free this month and you’ll get the wav files for our PC/Mac MultiTrack Player PLUS files for the new iPad MultiTrack Player. December’s free track of the month is a terrific Advent Hymn called Emmanuel, which is perfect for using as part of your worship in your Christmas services. The song is designed to be easily singable and very congregational and it even comes with the chord charts and score all free of charge! Emmanuel is written by Matt Weeks who as well as being a producer, song writer and bass player for many of the best known worship leaders around the world, teaches all Musicademy’s bass lessons and is the bass player on Worship Backing Band’s MultiTracks. Check out Matt’s site here. It’s available as a free MultiTrack download for the whole of December so do check it out and put it to use this Christmas! There’s even a free chord chart to go with it. Please note that the CCLI number for Emmanuel is 7053686. 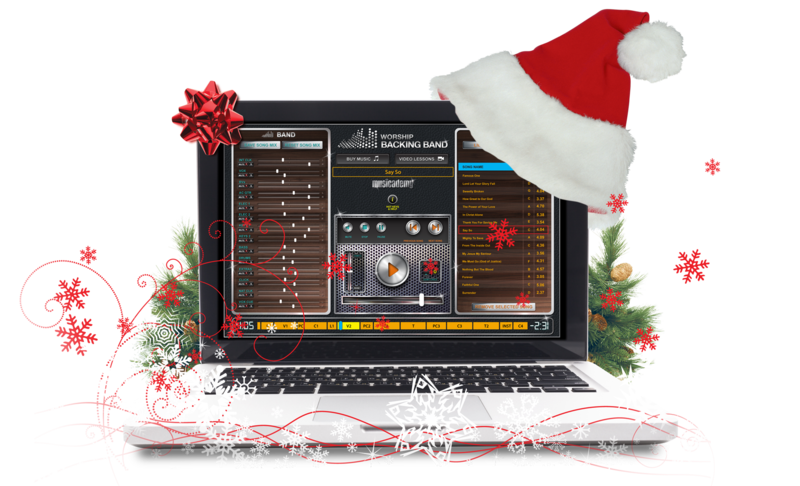 You will need a copy of Worship Backing Band’s Mac/PC or iPad MultiTrack Player to play the backing track. MultiTrack is the simplest and least expensive solution to get a full band sound from your worship team, even if you’ve only got a couple of musicians. This month’s free MultiTrack is Befriended by Matt Redman. July’s free track is This is How We Know by Matt and Beth Redman. We love our version of this underused song with fabulous instrumentation, vocals and dynamics. June’s free MultiTrack is is the beautiful early Matt Redman song Send Revival (Start With Me). It has a deep theme and is highly congregational so we hope you will enjoy. 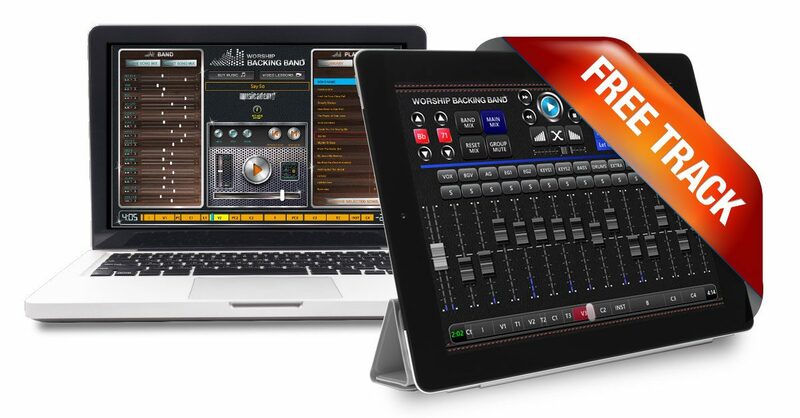 You will need the Worship Backing Band PC/Mac MultiTrack Player or the new iPad MultiTrack Player to play the track. May’s free MultiTrack You Are by Tim Hughes, Ben Cantelon and Nick Herbert is a great congregational worship song. This month’s free MultiTrack is the great but under-utilised song Rescuer by Jonny Parks, Nick Herbert and Cathy Parks.